Stone is a décor element that can add instant class and elegance to any space. If used correctly, different types of stones can be instrumental in completely changing the way your home looks! Are you looking for ideas about how to use stone? Do you want to redecorate your home? You have come to the right place for inspiration. Here are six decoration ideas that use stone in a unique and creative way. You can highlight just one wall in your home by using different shaped stones. Everything does not have to be symmetrical; sometimes asymmetry looks just as beautiful. 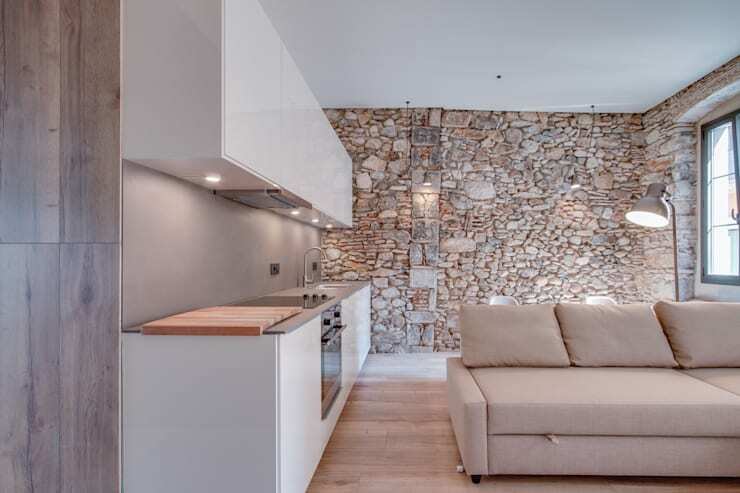 We love the idea of mixing and matching stones to create this stunning wall. Not only does it remove the hassle of finding the same coloured and shaped stone, it also makes the decorator’s job much easier. The space around a staircase is usually left bare because there is a staircase. However, there are other ways to decorate that wall, without making it look too gaudy. Use simple stone slabs in neutral shades and create this wall masterpiece. We guarantee that everyone who steps into your home will love it. Your entertainment wall deserves some love as well. It is the perfect place if you want to add some understated décor to your room. The beautiful, elegant and chic black stone looks great on the TV wall. This natural stone will create a cosier atmosphere in the room, while enhancing your TV watching experience. Don’t want to experiment with your TV wall? Don’t worry, we have another option for you! How about decorating the wall opposite the TV. This way, you do not have to worry about using heavy materials, such as stone, around your expensive electronics. 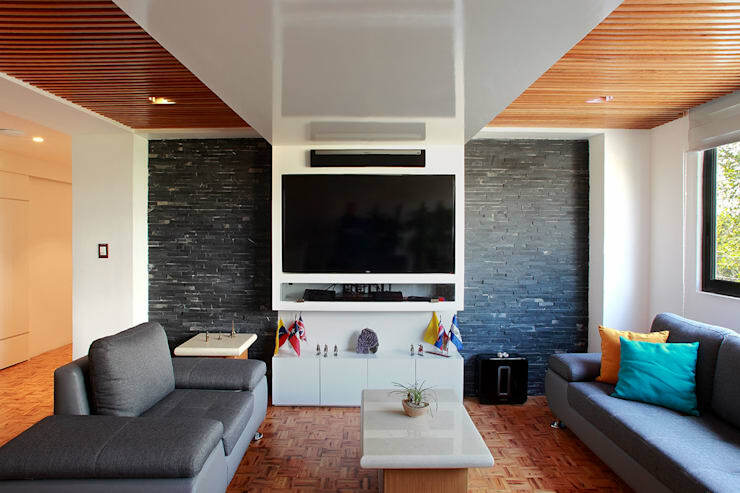 Decorating the opposite wall with earthy stone slabs will give your entertainment room a natural look. Strategic lighting above this wall can do wonders in highlighting the natural stone. Why should your bathroom be ignored? If you want to spruce up the décor in the bathroom, you can pick one wall and transform it. 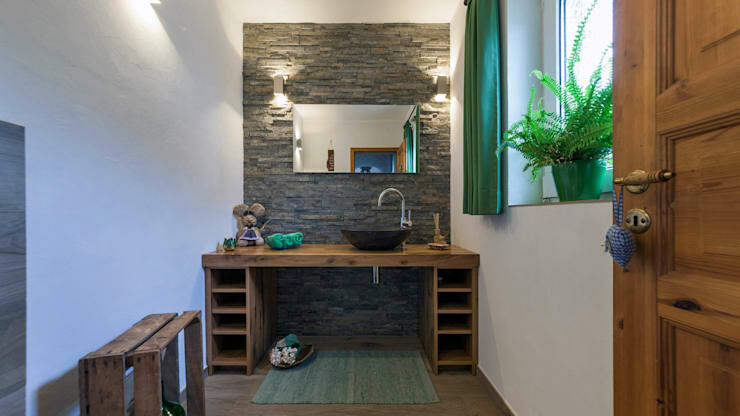 We love this idea of using the wall behind the bathroom mirror and turning it into a wall of stone. Not only does each decor element look brighter, the bathroom itself looks much more pleasant. A potted plant by the window can be a great addition along with the stone. 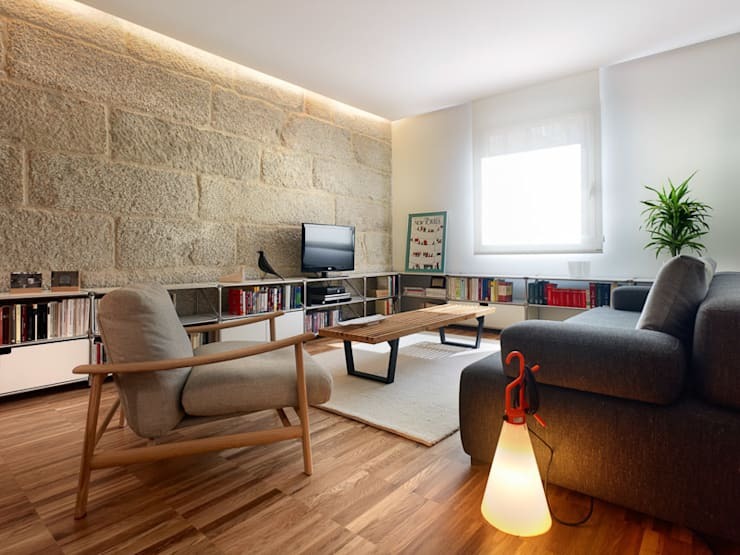 The use of stone in this room is simple and elegant. Simply because the stone slabs are big, which make them seem much more natural. The neutral tone blends in with the decor, which is just perfect. The stone wall serves a dual purpose. It acts as a partition between two spaces and enhances the decor of the living area. The colour, texture and size of the stone are important factors to consider while adding this element to your home. 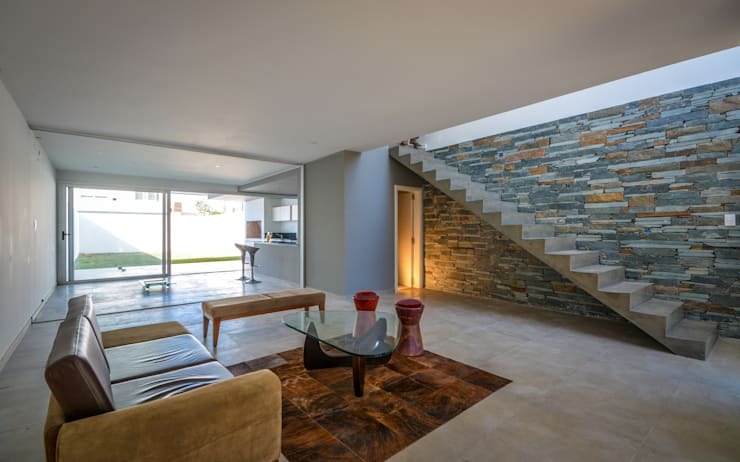 Take a cue from this living room rendered by the architects at Castroferro Arquitectos.